Ross Barkley arrived at Chelsea as a powerful, dynamic, exciting and goal scoring midfielder, but that player is almost unrecognisable from the one who operated in Chelsea’s predictable midfield three last Sunday. Maurizio Sarri made the decision to restore Barkley to his starting XI on a day which promised to be a tempestuously emotional affair for both player and supporters. While plenty of the Toffees faithful routinely booed the returning Evertonian, as if compelled to do so by a deep-rooted unwritten rule of the game, there’s no doubt that some fans were unwilling to partake in the ritual. After all, this was a player who once regularly lit up Merseyside in fleeting moments, whether via a lung-bursting dart that dissected the heart of defence or a pulse-racing long-range strike. But that player who simultaneously frustrated and wowed Evertonians was absent against his former club, as he has been all season. Sarri has moulded the once goal-hungry sensation into a well-rounded, conservative midfielder; the dynamism which his reputation was built upon has faded. The lion has been tamed and at what cost? Barkley made a staggering 84 key passes from 36 Premier League fixtures in his final full season at Everton, and 56 from 38 appearances in the season before. And if any statistic is going to provide the damning evidence of the decline in his creativity, it is this: Barkley has made just 17 key passes from 23 league matches in the current campaign. Naturally, it is imperative to acknowledge that he is no longer a guaranteed starter and Sarri’s obsession with rotating him and Mateo Kovacic is partially to blame. Fundamental laws of mathematics suggest that a reduction in minutes on the field will lead to a reduction in number of key passes completed. Add in the fact that Barkley’s rhythm has been disrupted by Sarri’s recycling of two immensely talented but criminally underwhelming footballers and it’s clear that there exists a coherent explanation behind his diminishing influence in the final-third. This a problem which Chelsea’s manager simply must address, not only to maximise Barkley’s talent, but also to solve a glaring final-third problem for the Blues. Marco Silva’s side were there for the taking on Sunday, but the visitors played without purpose or notable direction. Attacking players were dragged out wide by the magnetic walls of Goodison Park and a lack of penetration through the middle was more explicit than Sarri’s nicotine dependence. 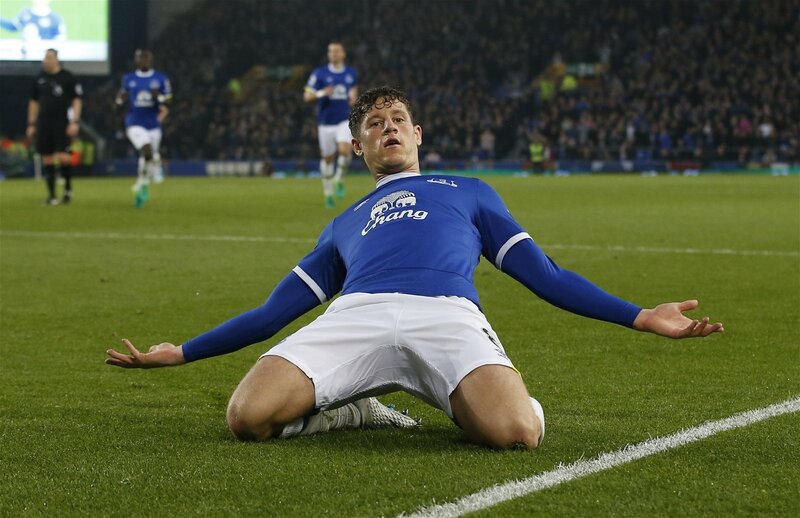 The stage was set for Barkley to give Everton defenders something to think about; to embark on one of his trademark dribbles; to use his speed and power to shrug off his opponent and ghost into the box unmarked; to play one of those key passes which the Goodison faithful once salivated over. It was a replica of the type of stage which Frank Lampard used to thrive on. One of Chelsea’s most legendary figures was a once in a generation player but Barkley has the ability to offer a similar level of goal scoring prowess if Sarri can re-programme the England international to think like the now-Derby County manager. Purposeful runs into the box both with and without the ball should be par for the course. Risks need to be taken otherwise he will forever stand still and join a growing catalogue of bang-average nearly players. Barkley needs to take responsibility for that himself but it’s also down to Sarri, who is chiefly responsible for nullifying his flair, to relight the match which used to burn behind his eyes. It’s about time Barkley’s transformation went full circle.